Golfing and back pain seem to go hand in hand Most golfers eventually experience back pain some reports indicate that as many as 80 percent of amateur golfers injure their backs at some point. Yet, many continue to play despite their pain, worsening their conditions. Dr. Cohen speaks about the repercussions of osteoporosis and how the Spine & Scoliosis Specialists of Greensboro, NC can treat it with minimally invasive Balloon Kyphoplasty procedure. 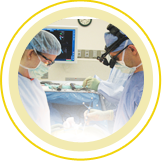 Minimally invasive surgery refers to a method of procedure that uses small incisions to access a specific part of the body, rather than large, open surgery incisions. This can lead to many benefits for the procedure and the post-op recovery. Failed Back Surgery Syndrome: What Is It and What Can Be Done? Dr. Ruben Torrealba of Spine & Scoliosis Specialists presents important information on failed back surgery syndrome. 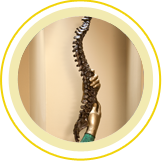 Contact Spine & Scoliosis Specialists at (336) 333 – 6306.